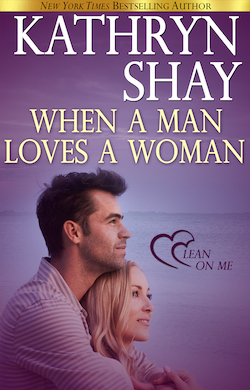 Welcome to Kathryn Shay’s very first novel, which won several awards and garnered hundreds of letters from fans. Nearly one million copies of this book were printed in the 1990’s. Nick DiMarco is out to prove something to himself and to the world. His ex-wife abandoned him and his two children, sad and shy Heather and wheelchair bound Jason, to lead the life of a socialite. Now, Nick’s in law school and working two jobs to get what he wants. But when Heather’s guidance counselor, Amanda Carson, calls to tell him his daughter is suicidal, Nick must make difficult choices to save his family. Further complicating these issues are the feelings both Nick and Amanda, a woman too much like his ex, develop for each other. Intense emotional scenes, a frightening look at teenage suicide and a love story that won’t be denied, all combine to make this a powerful, heart-wrenching drama.